1. Create a new group in Users > Groups. Name it GUESTS. Select Parent Group as PUBLIC. 2. Goto Users > Options > Component tab. Select GUEST as the "Guest User Group" there. 3. Create a new ACL in Users > Acces Levels . Name it as GUEST USERS. 4. Edit GUESTS USERS ACL, which you just created and select GUESTS group to it. Dont add PUBLIC group to it. 5. Edit PUBLIC ACL and add GUEST USERS ACL to it. 6. Now you are done with the group and access level creation. Now goto Global Configuration and select DEFAULT ACCESS LEVEL as GUEST USERS. 7. Now, you are ready to go. Make any menu item or module to test. 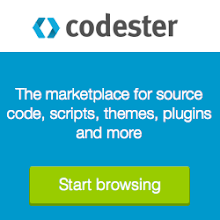 Just select , Access as GUEST USER in that item and test on frontend. You can see that menu item/module when you are not logged in. And as soon as you login, that menu item/module will be hidden. To solve this problem, we need to turn off the csrf protection in code igniter. Sometimes, we need to remove all the .svn file from the subfolders, then this command is helpful. When you try to remove a postgresql database, you may find that your database is accessed by some other user. Then run the below sql command in the postgresql database. It will remove the accessed user sessions. And write the following, this is a sample file, you need to write your server name and the name server ip addresses. I have come across this error while installing java on ubuntu 11.04 (Natty). Later, I found that the java repository is not added to ubuntu. So, I have added the java repository to my ubuntu server.